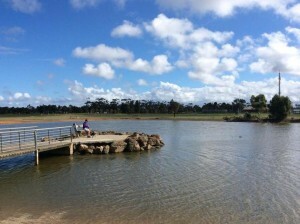 Ride the Werribee river. Then Cross country to Altona and along the coast to Williamstown. Head to Newport for a train home. Mostly off road. Join the Werribee train from Flinders Street Railway Station at 6:07PM. The last carriage will be at the Flinders St end of the platform. Call 0421677419 if you are running late.